Hackers have released a new batch of Twitter account names which have shown support for the self-proclaimed Islamic State. It’s all part of an #OpISIS effort to pressure the social media company into stamping out the terrorist group’s online presence. Earlier this month, the Islamic State threatened the life of Twitter co-founder, Jack Dorsey. "We told you from the beginning it’s not your war, but you didn’t get it and kept closing our accounts on Twitter, but we always come back," read a post on an online website used by the terrorist group. "But when our lions come and take your breath, you will never come back to life." Did Islamic State Just Promise to Kill Twitter Cofounder? This could – perhaps understandably – be part of the reason that Twitter has been slow to remove accounts sympathetic to the Islamic State. But the process is also technologically challenging. Using a swarm tactic, the terrorist group has thousands of separate accounts, all cross-promoting each other. In the time it takes Twitter to identify and delete one account, fifty others could have sprouted. Killing the hydra one head at a time simply won’t work. To ramp up those efforts, an assorted group of hackers – including Anonymous, GhostSec, and Crtlsec teams – have released the names of 25,000 accounts, all associated with the Islamic State, and all of which it hopes will be immediately terminated by Twitter. Two weeks ago, hackers released their first batch of names, a list of 9,200. Many of these accounts are still active, and those involved in the efforts worried that Twitter wasn’t cooperating because of the illicit way in which those names were obtained. To alleviate those fears, the new list has been compiled through a legitimate, legal algorithm. "It uses two different approaches for collecting usernames," the owner of the @xrsone account – where the lists are released – said in an interview with N4GM. "One of them scrapes lists from hacktivist Twitter feeds and uses the crowd sourced data." The second approach is more direct, but no less legal. "The second method resides within the suspended accounts, the database uses scripts to detect future accounts based off of information from previous ones," the @xrsone user says. "A lot of the time, ISIS usernames only vary a few characters from the last so it is possible to search for new active accounts with enough suspended ones to reference." 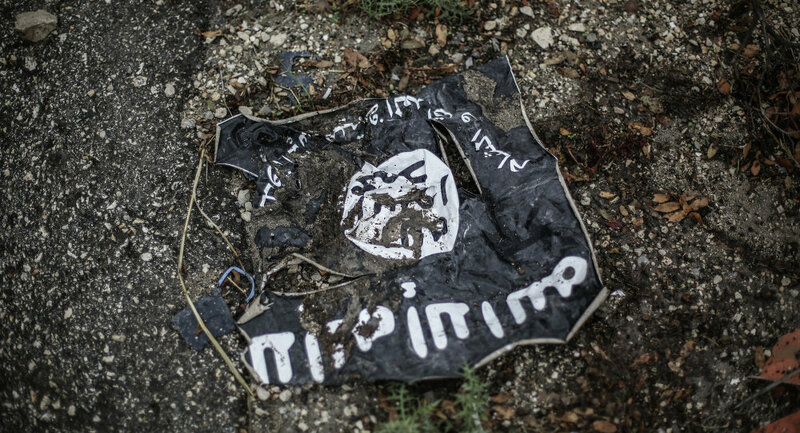 The Islamic State’s utilization of social media has worried many. Using Twitter and other Internet communication tools, the terrorist network has recruited members from around the globe. In January, the group also hacked into social media accounts of US Central Command, and published the personal information of dozens of military personnel. Earlier this month, a group known as the "Islamic State Hacking Division" posted the names of an additional 100 US military members as part of a "kill list." Writing for Foreign Policy, Emerson Brooking, a research associate at the Council on Foreign Relations, suggested that the US hire hackers to do precisely what the #OpISIS campaign is doing. "If the United States is struggling to counter the Islamic State’s dispersed, rapidly regenerative online presence, why not turn to groups native to this digital habitat?" Brooking writes. "Why not embrace the efforts of third-party hackers like Anonymous to dismantle the Islamic State – and even give them the resources to do so?"